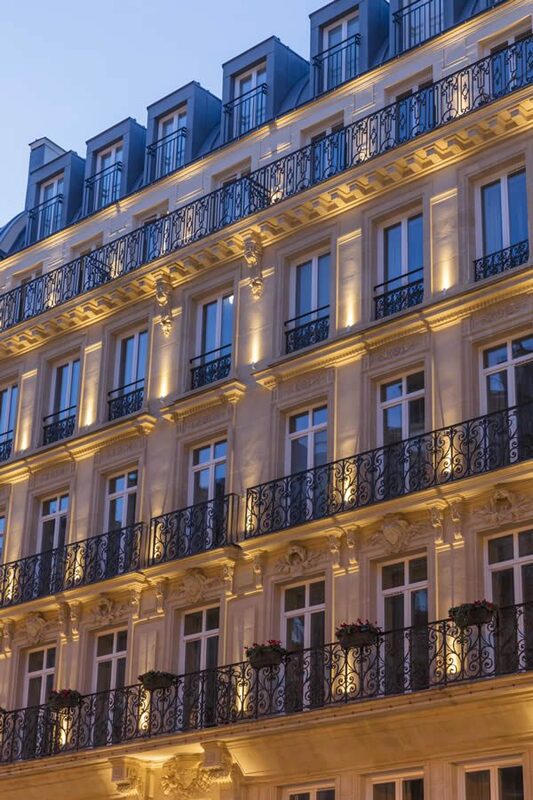 Maison Albar Hotel Paris Céline opened just a few months ago in the prime location of the city’s 1st arrondissement; known for its historic buildings and extravagant surroundings near Notre Dame, the Louvre and Les Halles. 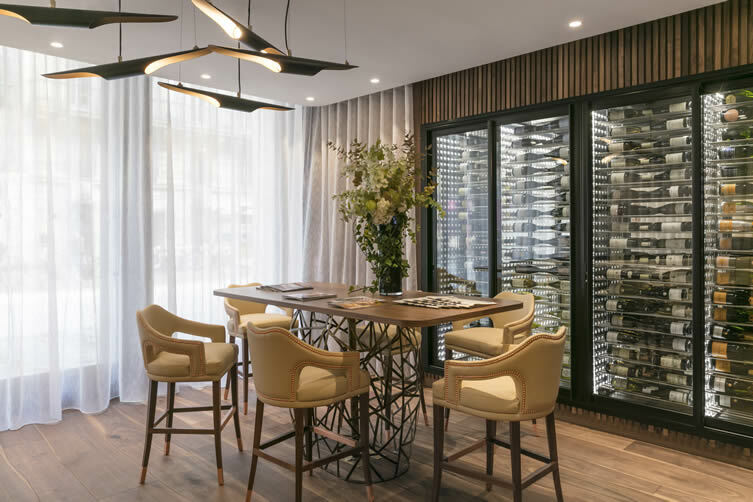 Just minutes from the Seine, this hotel is the brainchild of fourth generation Albar family Céline Falco (née albar) and her husband Jean-Bernard; the couple having embraced the family motto of excellence in hospitality with a refined eye on design and service. 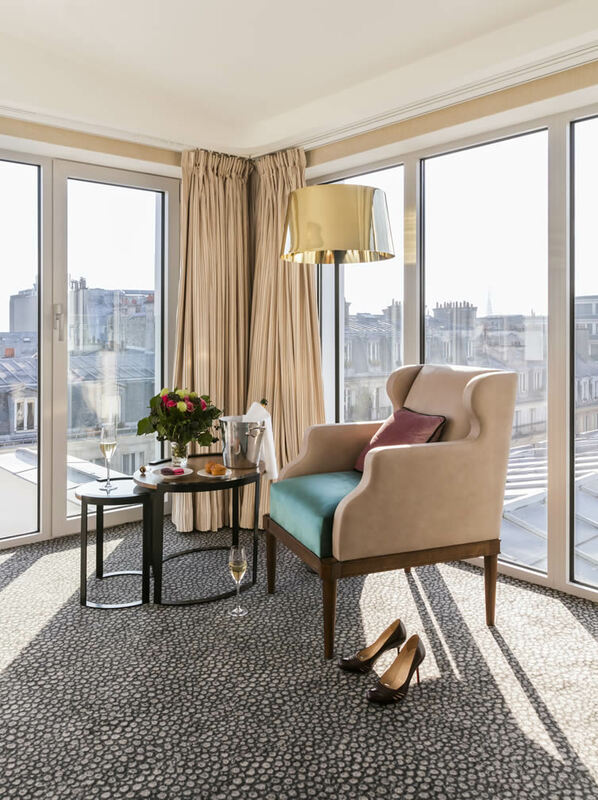 Having reinvented and developed establishments through the Paris inn Group, Paris Céline is the latest in a long line of French luxury in hospitality. Didier Beautemps and Valéria Sanchez of Atelier COS were responsible for the architectural aspects of the building — a lovingly restored Haussmann façade with modern accommodation within, their sensitive updates are reflective of Paris’s singular heritage, but its future too. 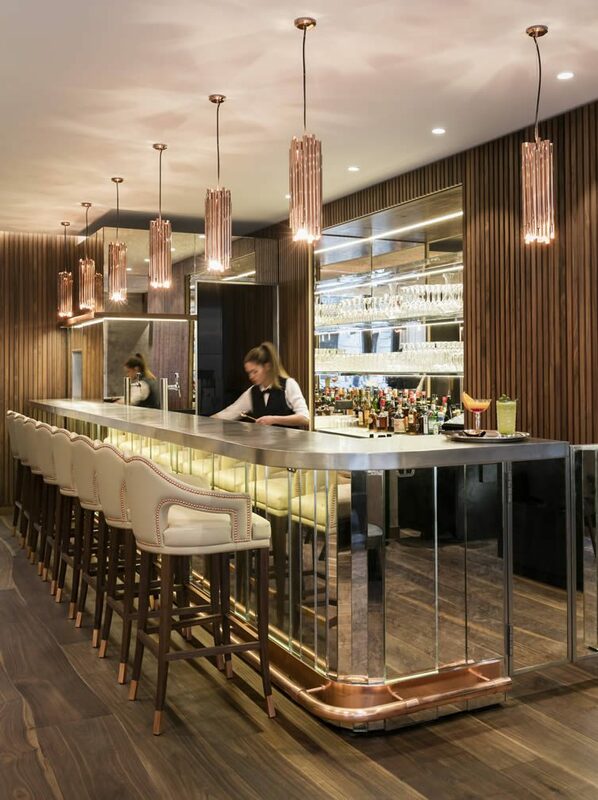 Inside, understated elegance continues, and a close collaboration with Alexandre Danan from EDO European Design Office on the interiors ensures that what is a relatively petite hotel has plenty of big design features to shout about. 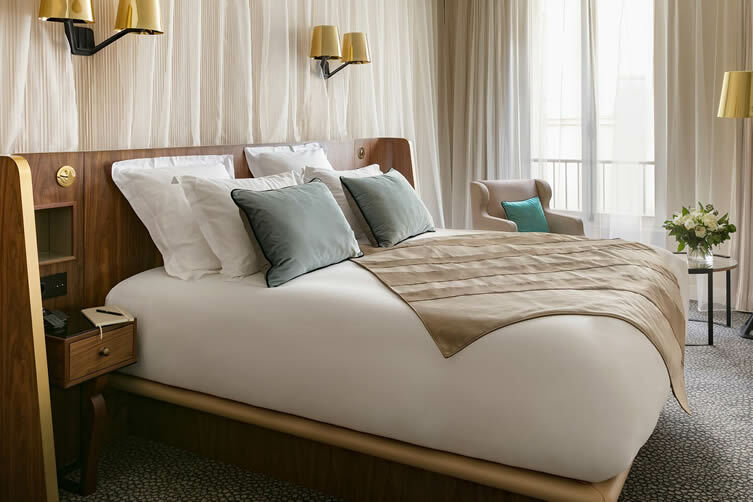 Sixty rooms, a spa by Cinq Mondes, swimming pool and Odette, a restaurant from the esteemed Rostang family, it’s easy to see why the Falcos are billing Paris Céline as a flagship hotel. The communal spaces nod to fashion house Céline, once housed in the building; one of the leaders of the haute couture, fabrics like velvet, leather and sheer textiles exemplify the movement. 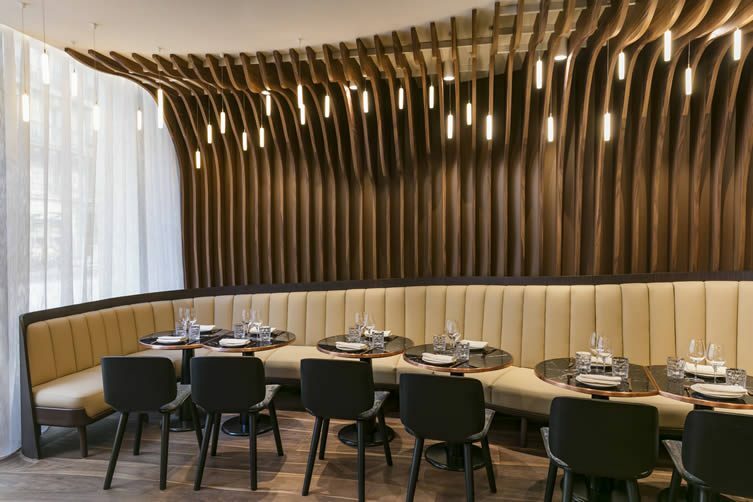 Fluid, wave-like wooden panels run throughout, inspiring space and movement — special lighting designed by Tom Dixon includes reflective copper tubing and opaque glass birds. Art Deco is an obvious inspiration, Henryot & Cie responsible for some specially-commissioned pieces informed by that period. Upstairs, a boat-cabin style bed with wooden-panelled surround and gold trim is knockout; so comfortable, so stylish. 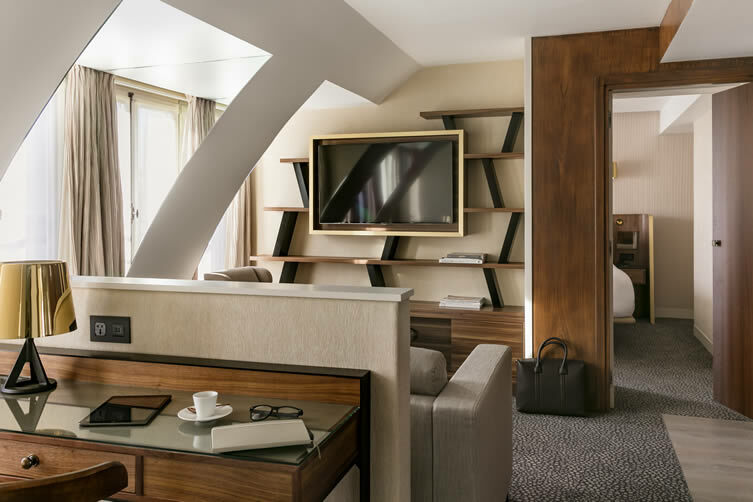 While the aesthetic of Paris Céline may be evocative of the past, 21st century technology means guest services are kept up-to-date and connected — each room is equipped with its own climate, light and entertainment tablets; as well as electronic bidet toilets. The last thing you’d expect, but oodles of fun. 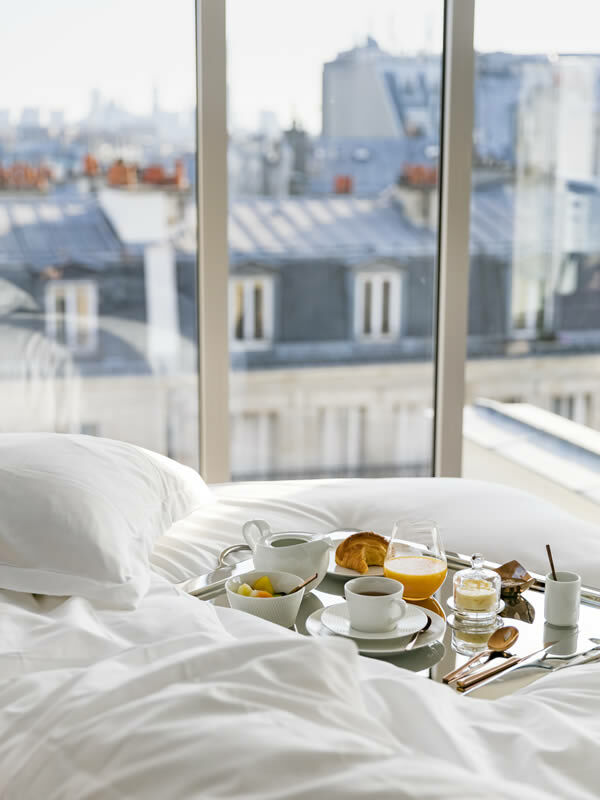 The hotel has its very own ‘Parisian inn’ restaurant, with design aesthetics that carry through from the hotel. Odette was created by another revered family name in France: Caroline and Sophie Rostang. 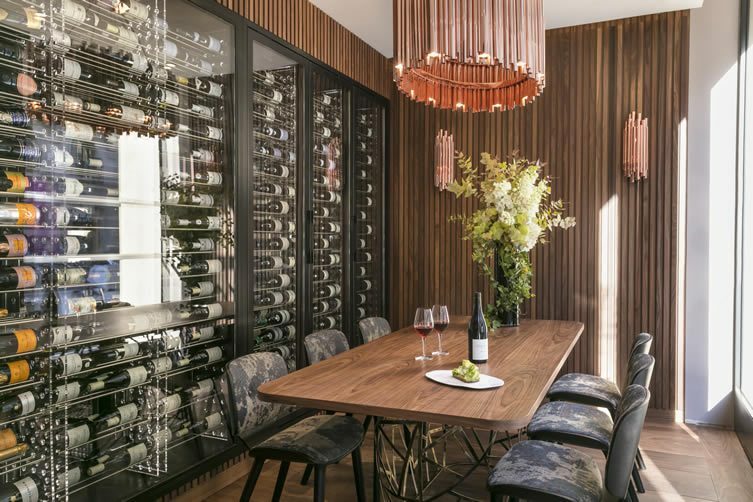 A highly-regarded family of restaurateurs, the sisters — along with Chef Yannick lahopgnou — have developed a contemporary, unfussy menu that is seasonal and refined. The desserts in particular are worth diving into, along with a superb wine list. When in a city like this — drenched in culture, fine dining and so much to see — one invariably spends precious little time in your hotel room. At Paris Céline, though, you’ll be excused from not stepping out and simply letting yourself unwind in a little luxury and plenty of style. 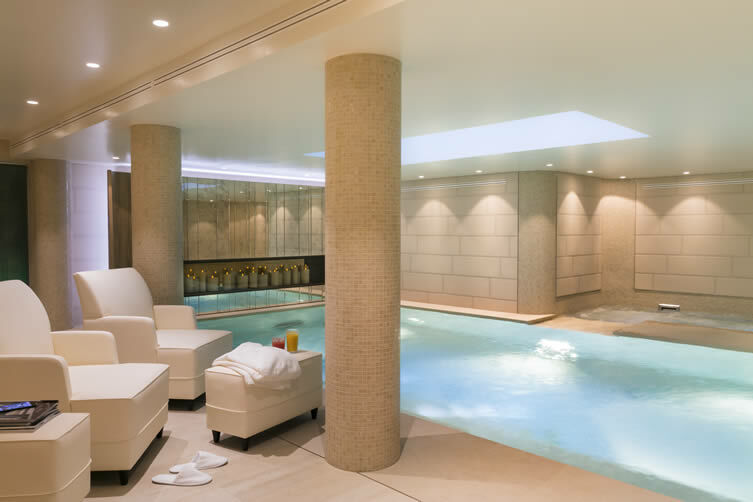 Forget about a long walk along the Seine, opt swim in the underground pool and look up to the Paris sky from its glass ceiling. Don’t worry about the Louvre and treat yourself to a ‘Sublime Polynesian Massage’ instead. The antique book market can wait, as can all the lovely little cafés and artisan shops along Rue Montorgueil; because 24 hours in Paris can be as much about staying in as it can be about going out.